Reid Haigh died unexpectedly on Tuesday, February 12, 2019 at Health Sciences North, Sudbury. He was 76 years old. Reid was the beloved husband of Constance “Connie” (née Tucker) of Bear Valley. He was the cherished father of Julie (Vince Wong) of Mississauga and John (Amy) of Barrie; and will be lovingly remembered by grandchildren Kelton and Brennan, and many nieces and nephews. Reid was the dear brother of Bruce (Lois) of Loring, Margaret (Doug Montgomery) and Larry (Colleen), all of Bracebridge. 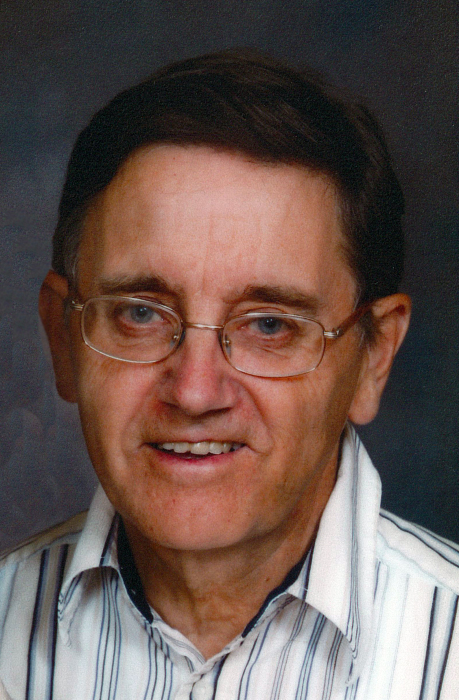 Reid was a retired Office Manager with Canadian Pacific Railway in Toronto and Sudbury. The Haigh family will receive visitors at St. Paul’s United Church, Golden Valley, on Saturday, February 16, 2019 from 2:00 to 3:00 pm, followed by a funeral service at 3:00 pm in the church. Spring interment will take place at Commanda Cemetery. If desired, memorial donations to St. Paul’s United Church are suggested. To make a donation, to leave a message of support for the family, or to order flowers, please go to www.paulfuneralhome.ca or call Paul Funeral Home, Powassan at (705)724-2024.